In conjunction with Wesak Day, this is a very meaningful topic. Previously, I am facing difficulties in performing such an angel act – Donations. However, where am I going to donate directly? Is it very troublesome to go there? Are there any alternative ways? From now on, you can make donations to your favorites charity organizations, through CIMB Cares. Etc. WWF, MAKNA, Mercy Malaysia… It’s convenient, secure and 100% of your donation goes to your chosen charitable organization. 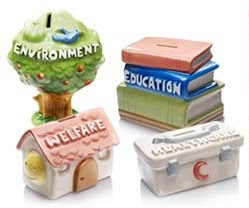 There are 4 categories of charitable organizations, namely Environment, Education, Welfare, and Healthcare. The online fund raising portal makes donating a breeze. You can make donations of any amount to any of the participating NGOs. Payments can be made as a one time donation or you can set up a standing instruction for it. Log on www.cimbclicks.com.my/cimbcares.htm and experience the pleasure of donating today. As an investor, looking at the market falling freely for the whole week gave me two different approaches. Depending on your stocks to cash holdings, it could dictate your next move. There is a possibility that your heart beat is getting greater, and you are thinking whether to sell your holdings now. There is a possibility that your mouth is getting bigger, trying to swallow whatever stocks you had targeted for long time, and you are thinking whether to utilize your holdings now. Whether you are A or B, my advise would be keeps on holding to what you have now. If you want to sell, you should sell it earlier, before the week, not after. Depending on type of stocks you are holding now, some may fall less, and some may fall crazily over the week. Those that fall less, most of them is dividend counters, which means the price is relatively stable. If you sell now, it would not make a lot of difference, and you will lose for brokerage fees. On the other hand, those falls crazily are those speculative/growth counters, which largely based on the sentiment of the market. In stead, you should buy before the sentiment going up again, but not now. I know you are so tempted to enter the market now, fearing that the market will stage a strong rebound after one whole week of falling. However, in my opinion, this is in the midst of falling only. Actually, you can start buying now if you do not mind. The mega sales is going for another week or two, just be patience. When is a better time to enter? Technically, the next support level would be around 1,230, last seen in Oct 2009. Go down further, would be 1,155. Anyway, value will start to emerge at 1,230 which mean there is another 55 points to go. So, wait for the number (or buy 4D now) before entering the market. Pick and choose for those fundamentally strong companies, which have fallen hard and still remain in the radar of investors, like Faber, Unisem, Evergreen. What is EPF i-Akaun ??? Since EPF go online years ago, many people are disappointed by the way the website was maintained and updated. However, as time passed by, EPF had successfully undergone a face-lift to its website. If you could notice the changes, I'm brave enough to say that EPF website nowadays is very informative, convenient, and well-organized. The fact is, I am not an EPF staff, then why I need to convince you ? Let's have a look with you own eyes. From now onwards, there will be an EPF series written in this blog. In this 1st series, I would like to touch on i-Akaun by EPF. $1 trillion rescue package by European Union. Global share markets reacting positively towards EU latest move. Euro gains 2.7% in one day boosted by EU and IMF. European markets posted best one day gain this year. This is the power of UNITY showed by EU countries during this round of financial meltdown. After a frantic talk on Monday, European officials agreed the 16 euro nations would put up $572 billion in new loans and $78 billion under an existing lending program. 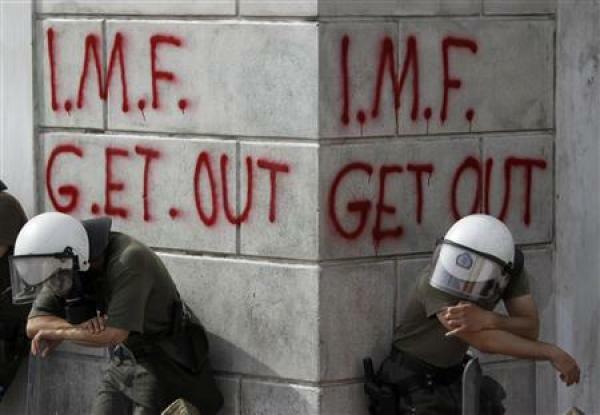 Meanwhile, IMF will pump in another $325 billion, adding up to a rescue package of nearly $1 trillion. However, many economists and analysts are still concern as to how the money would be dispensed and on what terms. A lot of them citing the euro rescue won’t solve the main problems plaguing the economies of Greece, Spain, Portugal, Ireland and Italy, which is low growth and weak balance sheets. Now, you still believe that EU nations are really so UNITED? The reality is that the Germans, French and the rest of Europe have little choice, but to bail out the troubled members to prevent them from failing. With cross-border banking and borrowing, many countries on the periphery of Europe owe vast sums to one another, as well as to richer neighbors like Germany and France. A default by a single nation would send other countries tumbling. Who is the “Tai-Ko” (number 1)? 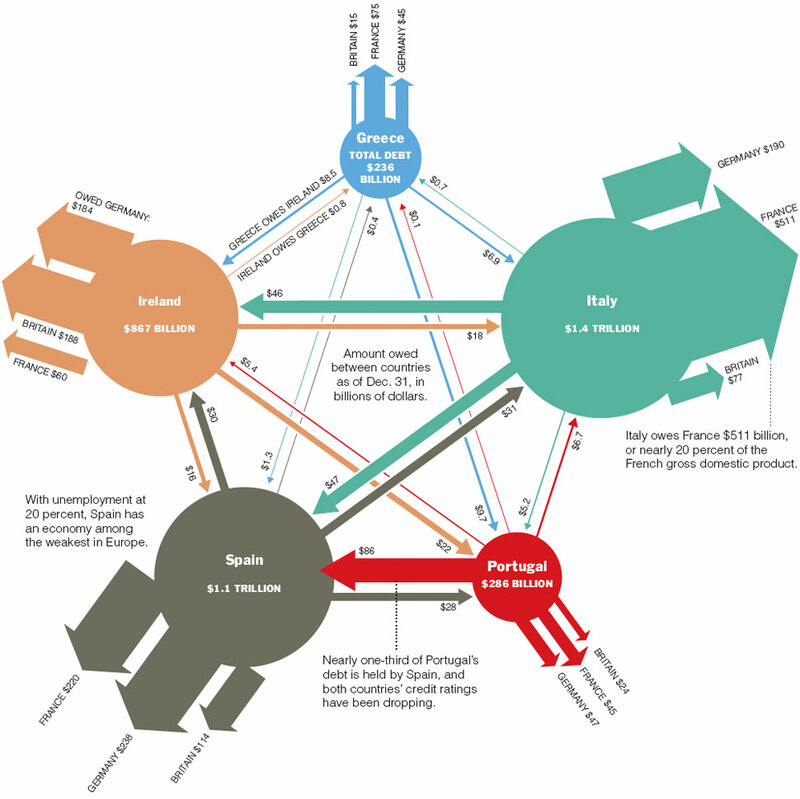 Portugal owes $86 billion to Spain. Nearly 1/3 of Portugal’s debt is held by Spain. With unemployment at 20%, Spain is among the weakest economy in Europe. Interestingly, Italy owes France $511 billion, or 20% of French GDP!!! Conclusion: German and France are FORCED to bail out PIIGS. US Dow Jones plunged as much as 9% on Thursday before recovering to end 3% down. MSCI’s emerging markets index lost 11% since mid-April. Crude oil price has fallen 14% over the past week, with Greek crisis putting the brakes on speculators as well as fears for Chinese growth. 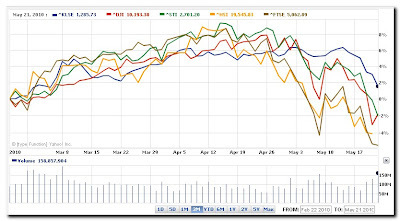 Commodities indexes have lost 5% in a week. 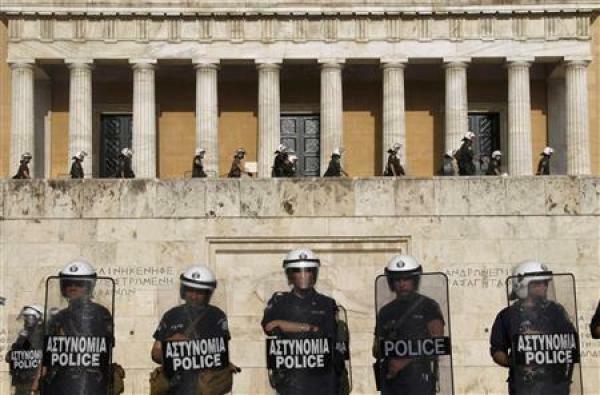 To contain the infections, Euro zone leaders decided on Friday they have special measures ready before financial markets open on Monday to prevent financial turmoil in Greece spreading to other countries such as Spain and Portugal. However, European Commission President Jose Manuel Barroso declined to give any details of the proposals, which will be presented to all 27 EU finance ministers for approval on Sunday. The EU summit, called to discuss longer-term efforts to coordinate economic policies, turned into a crisis-management session, with the euro facing its stiffest test since its debut in 1999. High deficits coupled with low economic growth has threaten Portugal, Spain and Ireland to follow the crisis leading path of Greece, most probably forcing them to seek financial aid too. 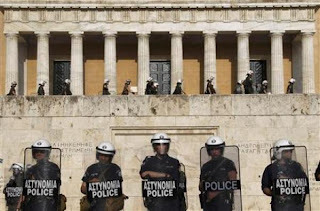 “People worry that if Greece is Bear Stearns, Portugal is Lehman and Spain AIG”. BNP Paribas said during past week, a phrase that gained much circulation last week. PIIGS (Portugal, Italy, Ireland, Greece, and Spain) can’t fly – the Greece problem. An article by Tan Sri Lin See-Yan saying that these countries need to seek IMF help before it was too late. 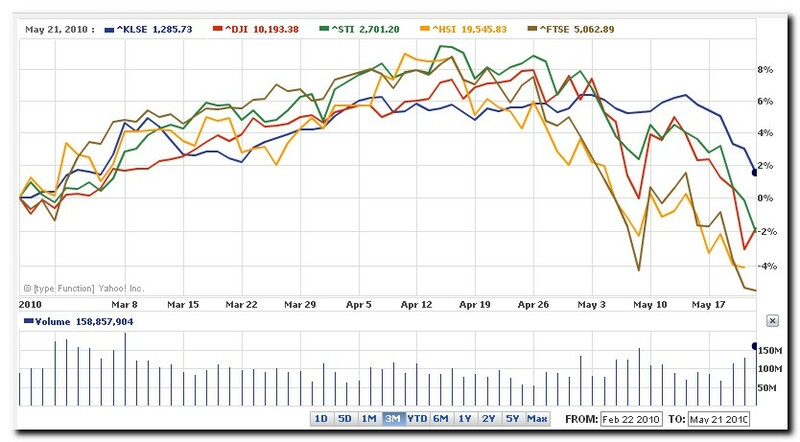 Hopefully, the share markets around the world would stop falling as intended by EU. Yet, another capital protected fund will be launched by OSK-UOB investment bank. The 3-year closed-end capital-protected fund is aiming to provide investors regular income over the medium term. The theme for this fund is "US Recovery". The fund will be offer for subscription from May 10 to June 23. The fund's principal strategy is to invest 87% to 93% in zero-coupon negotiable instruments of deposits (ZNIDs) to accord the capital protection and the remainder in a 3-year over-the-counter US option.